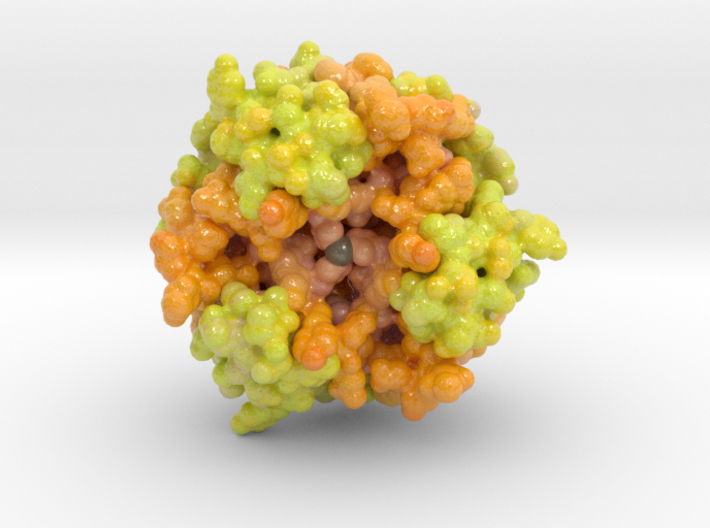 Use this 3D printed Biologic Model of Human Insulin Hexamer as a desktop reminder to take your medication before each meal. This is a 3D Printed Biologic Model of Human Insulin Hexamer in its stable macro-molecule hexamer form. It is colored by the protein’s bFactor or atomic temperature. Chains A and C are stained yellow, and Chains B and D are stained lite orange. The core of the macromolecule shows the stable, cool binding region of each monomer, an important characteristic of natural human insulin.